Jill H. Rathus, PhD, is Professor of Psychology at Long Island University Post, where she directs the DBT scientist-practitioner training program within the clinical psychology doctoral program. She is also Co-Director and Co-Founder of Cognitive Behavioral Associates, a group private practice in Great Neck, New York, specializing in DBT and cognitive-behavioral therapy (CBT). Her clinical and research interests include DBT, CBT, adolescent suicidality, intimate partner violence, anxiety disorders, and assessment. Dr. Rathus has developed and conducted programs in DBT for adolescents and adults as well as males referred for intimate partner violence, and has received foundation and university funding to study, adapt, and develop assessment tools for DBT. She has published numerous peer-reviewed articles and chapters on DBT, adolescent suicide, couple therapy, intimate partner violence, personality disorders, assessment, and anxiety disorders. 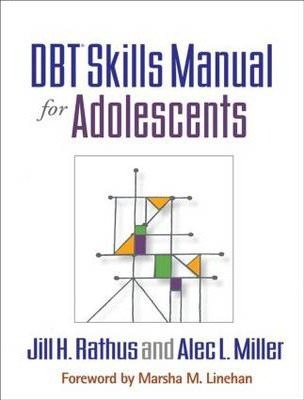 She is the coauthor of books including DBT (R) Skills in Schools, DBT (R) Skills Manual for Adolescents, and Dialectical Behavior Therapy with Suicidal Adolescents. Alec L. Miller, PsyD, is Co-Founder and Clinical Director of Cognitive and Behavioral Consultants, White Plains and New York, New York, and Clinical Professor of Psychiatry and Behavioral Sciences at Montefiore Medical Center/Albert Einstein College of Medicine, Bronx, New York. Dr. Miller served for over 20 years as Professor of Clinical Psychiatry and Behavioral Sciences, Chief of Child and Adolescent Psychology, Director of the Adolescent Depression and Suicide Program, and Associate Director of Psychology Training at Montefiore Medical Center. He is a scientific advisor to the American Foundation of Suicide Prevention and the National Educational Alliance of Borderline Personality Disorder, a Fellow of the American Psychological Association, and past Chair of the International Society for the Improvement and Training of DBT. He has published numerous peer-reviewed journal articles, book chapters, and books on topics including DBT, adolescent suicide, childhood maltreatment, and borderline personality disorder. He is the coauthor of DBT (R) Skills in Schools, DBT (R) Skills Manual for Adolescents, and Dialectical Behavior Therapy with Suicidal Adolescents. He has conducted over 400 lectures and workshops around the world, training thousands of mental health professionals in DBT.